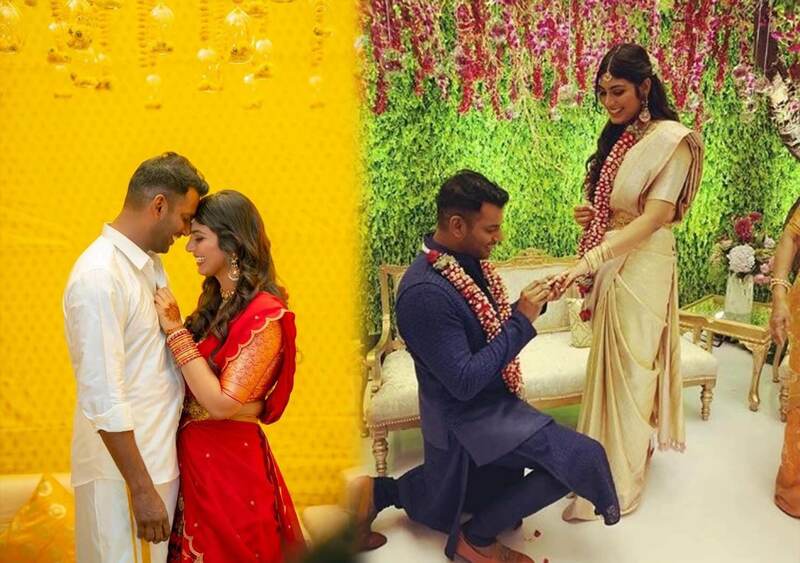 Tamil actor and General Secretary of the actors body ‘Nadigar Sangam’, Vishal got married to his longtime girlfriend Anisha Alla Reddy on March 16th in a private ceremony amidst friends and family. Vishal and Anisha will get married in the not so distant future, likely in August or September. Vishal in an interview had announced that his wedding will happen at the Nadigar Sangam building in T Nagar, Chennai. Vishal claims to have fallen in love with Anisha during the shooting of his film Ayogya, where he first met her. Anisha is the daughter of Hyderabad businessman Dinesh Reddy and she also is an actor. She was last seen in Telugu movie Arjun Reddy. Among the stars who attended the engagement are Malayalam superstar Mohanlal, Kushboo Sundar and family, Karthi and his wife, Manobala. 2019, the year of sequels? JLo says “Yes” for the fifth time!